Travelling with kids is not something I have a great deal of experience of but I often get asked about what to do in Portugal with kids. 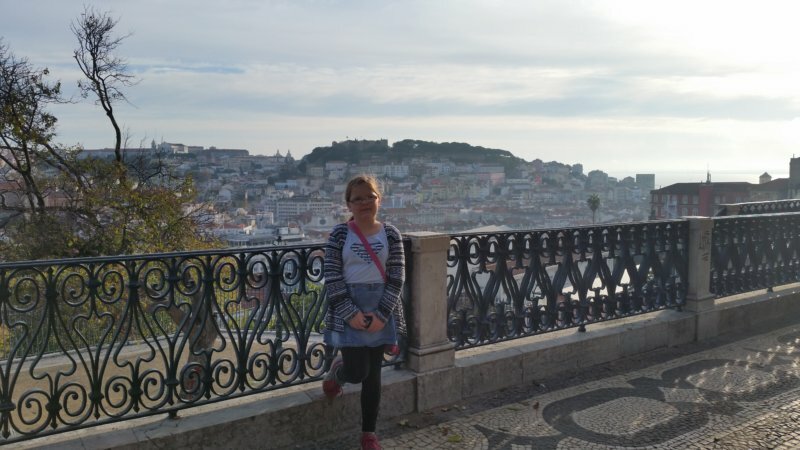 To supplement my own knowledge, I asked several family travel bloggers to tell us about what their children enjoyed most during their trip to Portugal. Most of these activities are aimed at younger kids, although they include places that I have enjoyed as an adult. A few of the suggestions are specifically teen-focused. When my stepchildren were still young or pre-teens, we visited the Oceanarium in Lisbon, which is the largest salt water aquarium in the world. 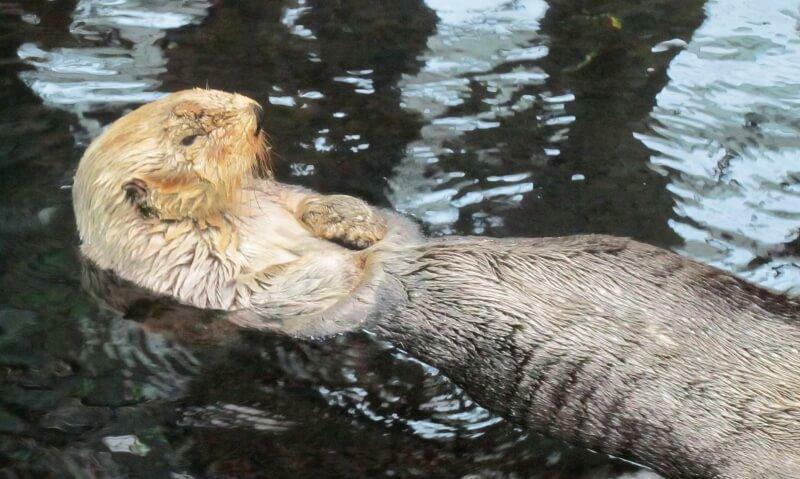 It was the first time that any of us had been to an aquarium and I’m not sure who got the most out of it – them or me! Suffice it to say that the sea otters will melt the hardest of hearts while the penguins keep you entertained with their endless antics. Being almost nose to nose with sharks proved exhilarating and we were all slightly weirded out by the fat round sunfish. The dreamily floaty dragon fish and sea anemones are mesmerising and there are plenty of colourful tropical fish to brighten things up. Avoid the queues by purchasing your tickets online in advance. Print the voucher and take it to the reception desk to swap it for a ticket. Take a trip with your teens outside of the centre of Lisbon, and visit the district of Belem. Experience some important historic sites from the country’s Golden Age followed by a visit to a famous cafe. Belem is a great destination for families with teenage kids, and an impressive place to walk around. From here, you can stroll through the park and down the street (or drive) to the Monastery of Jerónimos, a gigantic limestone church, and monastery. Built in the 1500’s, Vasco de Gama is buried here along with some of the other great explorers. The next stop will be the family favourite. Antiga Confeitaria de Pasteis de Belem, guards the original recipe for the national dessert of Pastel de Nata, and have been serving these delicious cream tarts since 1837! So, take a seat at this historic cafe, relax and enjoy some family time with pastries and coffee (try the “meia de leite”, i.e. coffee with milk). If your family is quite active, you might enjoy this 3-hour guided tour of Belém by electric bike. What better way to indulge a sweet tooth than to learn how to make delicious, creamy pastel de nata at an authentic bakery? When I participated in a pastel de nata workshop in Lisbon, there was a girl of about 10 in the group and, although a bit shy, she enjoyed the experience. While I don’t think this would really work for younger children, it’s a fun, hands-on activity with cake at either end so older kids (10+) should like it. Instagram opportunities abound! Read about my experience or book your place on a pastel de nata workshop. 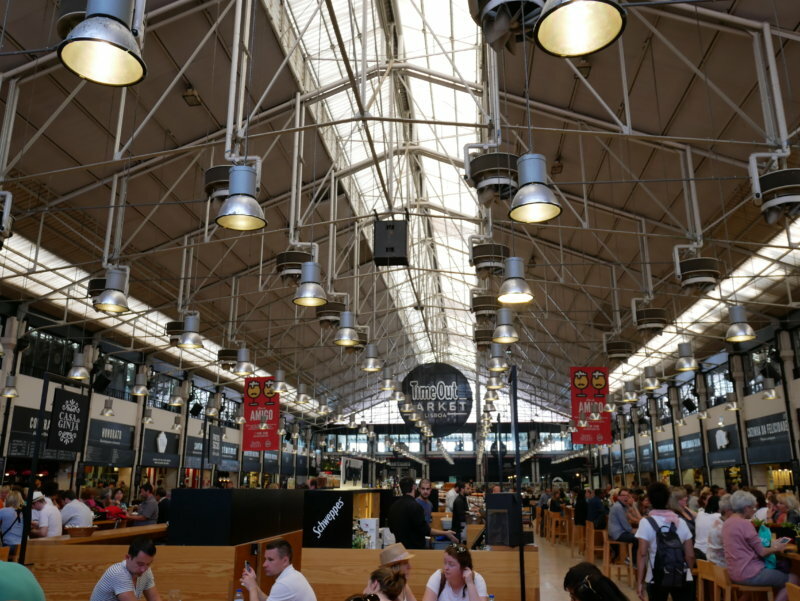 One of the places our family visited over and over again while in Lisbon was the beautiful Mercado da Ribeira. Located in Lisbon city centre and well served by public transport, the Mercado is a well known landmark and entices visitors with its beautiful architecture and a remarkable amount of food options. These span from traditional Portuguese food offerings to Asian fusion dishes and include several kid-friendly options such as pizza. The place is not for kids as such but it is excellent for families. The atmosphere is informal, many of the food offers available will appeal to kids and there are bathrooms and (basic) baby changing facilities that make it a handy stop for families with babies or toddlers. The place is stroller friendly but it does get busy and many of the tables have high stools that can be challenging for little ones. The best way to enjoy it is to come outside of the most popular meal times so you can select the most suitable seat. Our kids loved the Mercado and especially the fact that just outside there is a small playground with many pigeons! Feeding the birds is illegal, however, they are fun for small ones to chase, something my kids did for a long time in the company of the many local kids hanging our here with their families. Whilst touring Europe by campervan with kids, we discovered the joy of city walking tours. Walking tours are great for getting a feel for the city, learning a little of its history, and exploring places you would not find on your own as a tourist. For the kids they are unique hands on history lessons outside the classroom. In Lisbon we decided to walk with Lisbon Chill Out Tour as they operate on a name your price (tip only) basis. This removes much of the risk in taking a walking tour with kids, as it gives you flexibility to leave the tour if the kids’ interest is waning. On our walk we explored the main sights around Barrio Alto before heading down to the Alfama. We loved exploring the narrow winding streets whilst our guide shared some of Lisbon’s cultural history. The tour ended at a fantastic viewpoint with sweeping views of the orange tiled rooftops across the city. Our kids loved hearing unusual stories about the city’s past and picking up snacks along the way from stores selling local treats. We think walking tours are best suited to kids aged 8 and above. There are an increasing number of companies offering walking tours targeted towards kids. Our best tip is to read the company reviews and look for guide recommendations from other families. 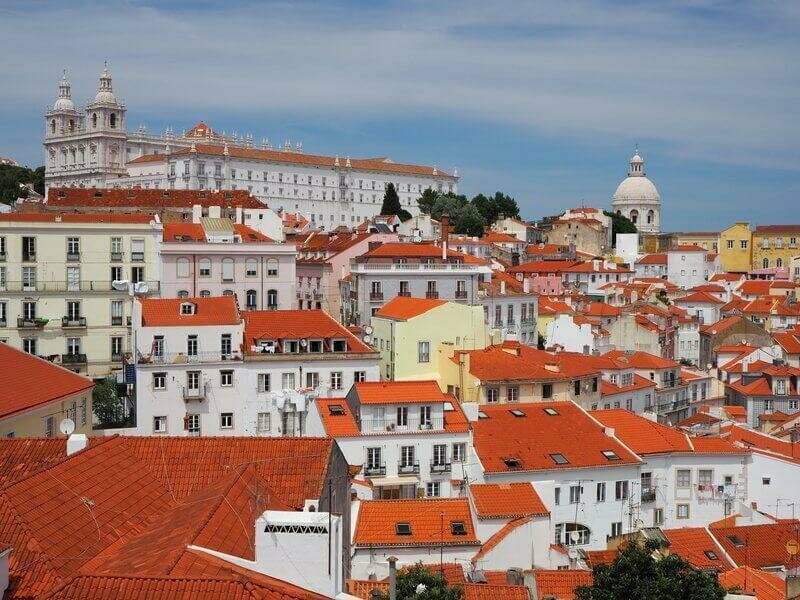 Lisbon Chill Out Tours offer guided walks twice a day through the city. Every tour is unique and they run for around three hours. The meeting point is Praça Luís de Camões. You can book online or just turn up. Tipping is expected (and deserved). 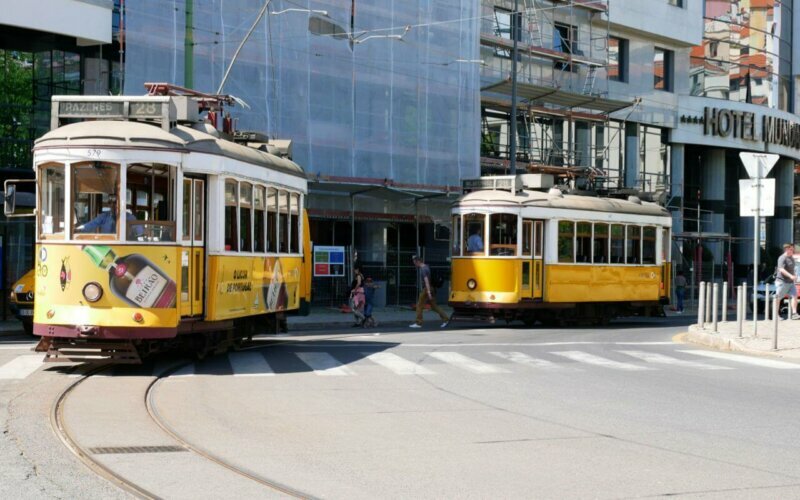 One of the things little kids are likely to fall in love with, while in Lisbon, are the city’s famous yellow trams. They criss-cross the city’s streets and some of them climb up Lisbon’s steep hills, offering rickety rides reminiscent of journeys from Thomas the Tank Engine books! The most famous of all the city trams is the number 28, which meanders its way up the Alfama hill. The tram is well known to tourists and this means almost at all times you need to queue to get on. However, we found that the queue moved swiftly and the wait was made much sweeter by the presence of a bakery just beside the stop! The trams come and go regularly and get full quickly. Sit down spaces in particular fill up fast and unless you are among the first to get on the tram, you are unlikely to get one. We noticed, however, that priority was given to families with small kids and we were able to secure a window seat. Our children adored the shaky ride and found the small streets with oncoming trams that seem to crash into you great fun. This is a fun activity to do with a toddler or young children but families should be aware that there is not a lot of space on the tram for strollers. Because of this but also for the peculiar geography of the Alfama, we recommend that on the day of this trip you opt for a baby carrierinstead. Julie’s note: Please avoid rush hours when local people are using this tram to get to and from work, for your sake and theirs. An alternative to the somewhat overburdened #28 tram would be to use a Hop On Hop Off tram that doesn’t inconvenience local people. You can combine this with a Hop On Hop Off bus tour for maximum convenience. Not every family is the same, but what makes Lisbon’s Puppet Museum stand out is its quirky character – and that’s what would make it a good choice for kids aged roughly five and above. This isn’t just a place to take in beautiful puppets; the museum goes the extra mile in teaching about the cultures that created these works of art and the history of puppetry. I visited while working as a tutor and the kids in my care really got into the interactive aspect inside. In one area, there were props and an old fashioned camera which allowed you to stage a small scene with the marionettes. That brought out a lot of smiles! There’s nothing Barbie-like here and some of the exhibits are quite dark and scary, including warrior masks with grotesque faces, so that’s why I wouldn’t recommend it for the littlest ones. The Museu da Marioneta is well connected by tram and you’ll find it on the Rua da Esperança. It’s open from Tuesday to Sunday,10 am to 6 pm. It usually costs 5 euros, but visit on a Sunday morning and it will be free! Julie’s note: This is one of my favourite Lisbon museums and great for big kids like Mike, too. Little Lisbon Tours are close to my heart as one of those rare companies that focus on kids only. Their tours are simple yet informative and engaging, all that one would expect from a company whose audience are kids. Don’t let the kids tag fool you – adults will certainly learn interesting facts and trivia about Lisbon along the way. We went on The Lisbon Earthquake tour. The tour started at one of the many amazing miradouros in Lisbon looking over the downtown area. We started off talking about buildings in the Lisbon skyline as Mariana took the girls over to the side of the lookout to get a better view. Mariana pointed out buildings that had survived the 1755 mega earthquake and tsunami. Bec and I assumed a support role from here on in as Mariana and the kids marched to their own beat. 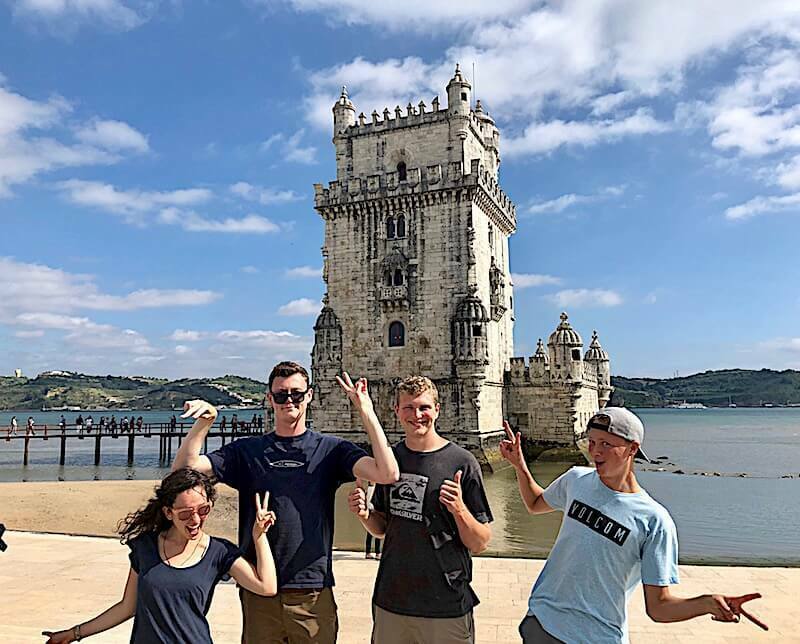 We started moving downhill and in the process we learnt about one of the famous churches, the Carmo Convent, the Santa Justa Lift, the famous tiles of Lisbon, the grid that Lisbon’s downtown area is built on and the riverfront area. Mariana comes equipped with biscuits and worksheets to keep the kids fed, interested and occupied. The biscuits also had a cultural significance as they are the same recipe that was served to survivors of the earthquake. Little Lisbon is both educational and entertaining which is a rare thing for kids and a great experience for the whole family. Estádio da Luz is the largest stadium in Portugal and the home ground of Benfica, the biggest Portuguese club. 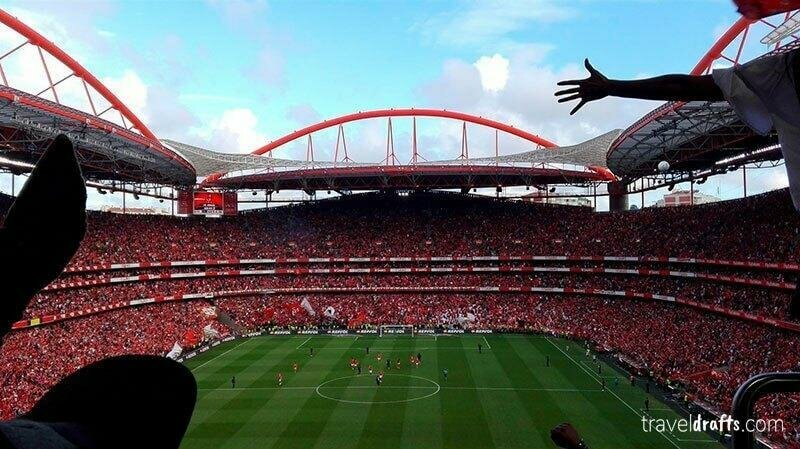 This makes it the best option for anyone who wants to experience a live football match in Portugal. Benfica Museum is located next to Estádio da Luz in Benfica, Lisbon and exhibits all major trophies, symbols and moments of the club. It’s one of those places that means absolutely nothing to some people but to sports fans it’s amazing! There are organised visits to the stadium and the museum. A ticket to the museum costs €10, to the stadium €12.5 and the stadium + museum costs €17.5. There are reduced prices for children, families, and seniors. But remember, nothing beats going to a match and experiencing the whole environment. If you are going to a game, a ticket should cost between 20€ to 30€, which makes it a more expensive but worthwhile experience! There are tons of family-friendly activities in the Algarve – this is just a sample of some of the less obvious ones. 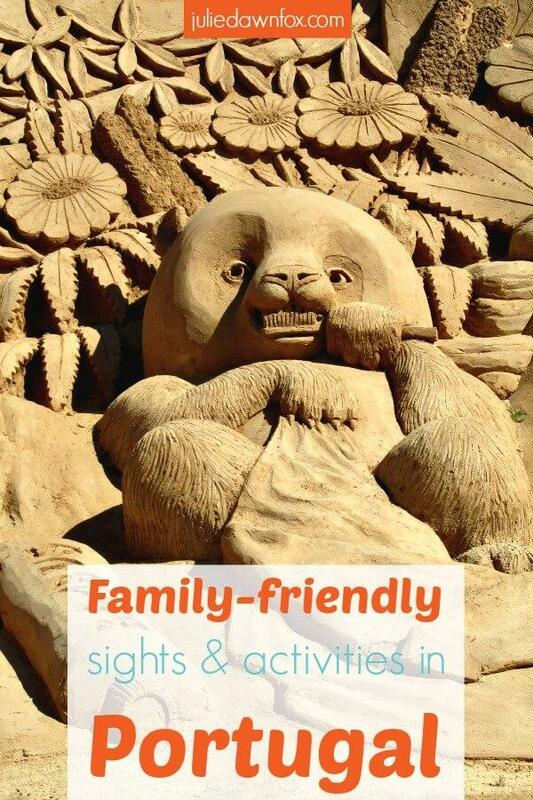 I couldn’t resist adding FIESA Sand Sculpture Festival to the mix of things to do in Portugal with kids. 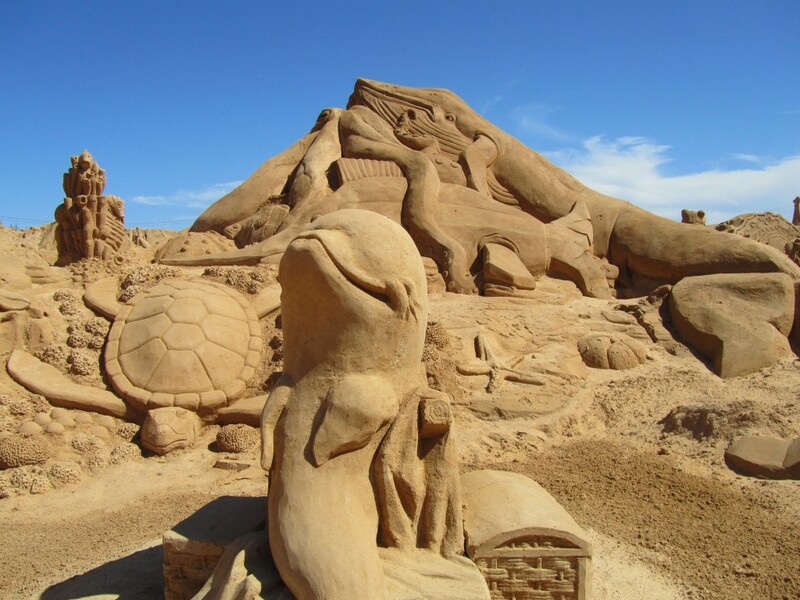 This is a gigantic park filled with stunning sand sculptures created by international artists. The festival theme changes each year and the new creations are generally available for public viewing from March to November. If you plan ahead, you and your family can take part in workshops. Note that there is no shade so hats and sun cream are advisable on hot days although you can rent a buggy to get around the exhibits. In warmer months, it’s probably a better idea to visit in the evening, not only because it’s cooler but also because the lights and music make the whole thing even more entertaining. More information in this post. Cascata Queda do Vigário waterfall in Alte is a really wonderful spot that you shouldn’t miss while you are somewhere close. Alte itself is a lovely little and very rural town close to Silves. It is worth exploring with its beautiful little corners, streets and cafés. – see this post for more info. Something easy to overlook, as it is not written in any travel guide, is the little waterfall of Alte. To get there, you have to park outside and take a little walk. Click here to see it on Google Maps. 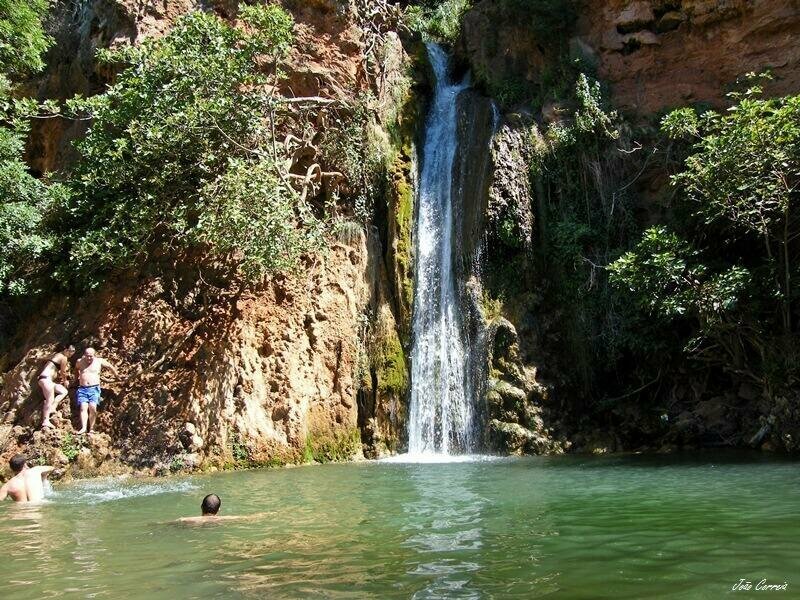 The water falls around ten meters into a natural basin where you can easily walk in and out over some steps. Everything around it is lush, green and alive. And the best thing about it: it is completely free of charge. I’ve seen a lot of families here, relaxing on the lawn, swimming in the water and enjoying this little piece of heaven, where the children can run freely and you don’t have to worry about them. You’ll find a big grassy area where you can have a picnic and chill out. Kids of every age, from tots to teenagers, love to play in the water and around the stones. There used to be a café or snack shop close by that, unfortunately, was destroyed. The lack of facilities shouldn’t prevent you from enjoying this place. Grab your children and your lunch box, don’t forget the camera and the swimsuit, then get into the clear water and have lots of fun. Apart from its many beaches, the Eastern Algarve does not have many things to do with young kids or teens. However, one thing it does have is a castle in the form of Castro Marim Castle. 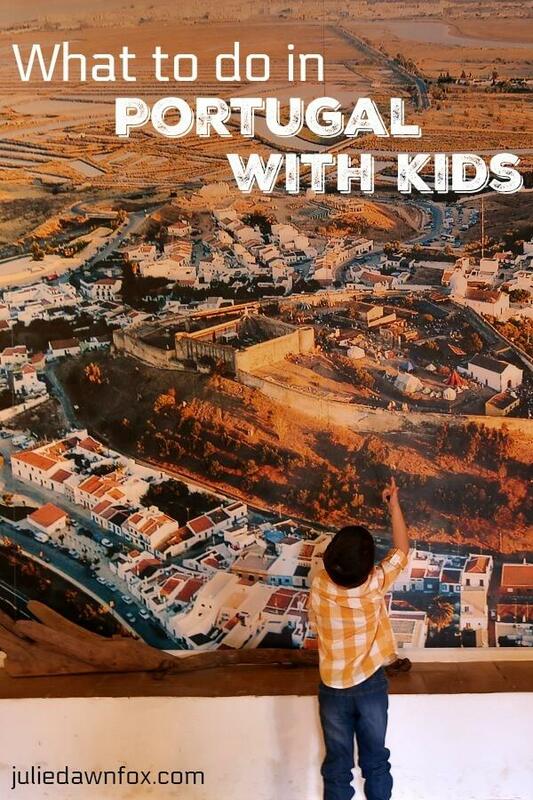 Standing atop a hill and overlooking both Castro Marim town and the Guadiana River, this formidable castle will provide a few hours entertainment for families. Dating back to the 13th century, this medieval castle has associations with both the Knights Templars and also the Portuguese Reconquista. There are a number of outdoor areas to explore including the stables and what would have been the market and workshop area. There is one main building, the keep, which would have housed the owners of the castle. Within this you will find a small museum and you can also climb the stairs to the battlements of the keep. There you can enjoy the views across the Guadiana River towards Vila Real de Santo Antonio (Portugal) and Ayamonte (Spain), the river forming the border between the two countries. 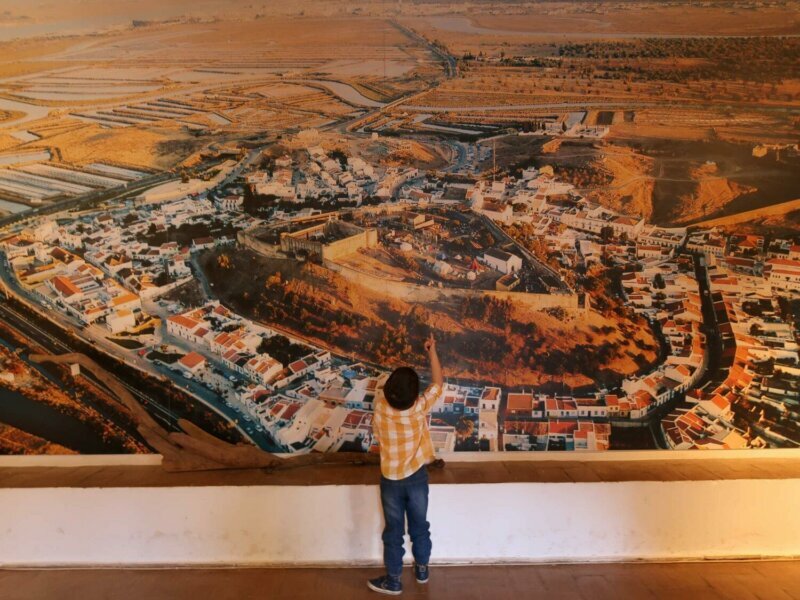 Our son was 3 the first time we visited Castro Marim Castle and we made it more interesting by turning our visit into a dragon hunting adventure. The castle can be enjoyed by children of all ages, although be warned that the torture exhibition in the church building is not suitable for young children. The castle is open typically from 9 am to 5 pm (winter) and 7 pm (summer). It cost us less than €2 entry and our son was free, although I am yet to find out the age limit for free entry. Castro Marim Castle is worth a visit if you are in the Eastern Algarve towards the Spanish border. 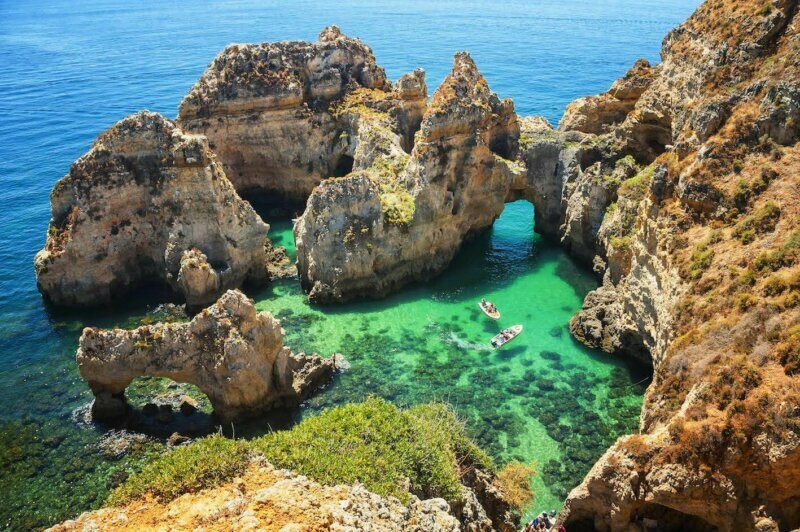 Don’t miss a boat trip out to the incredible rock formations and hidden caves from Lagos to Ponta de Piedade (Mercy Point), a headland with 20-metre golden sandstone cliffs eroded and shaped into fascinating shapes and magical grottos. 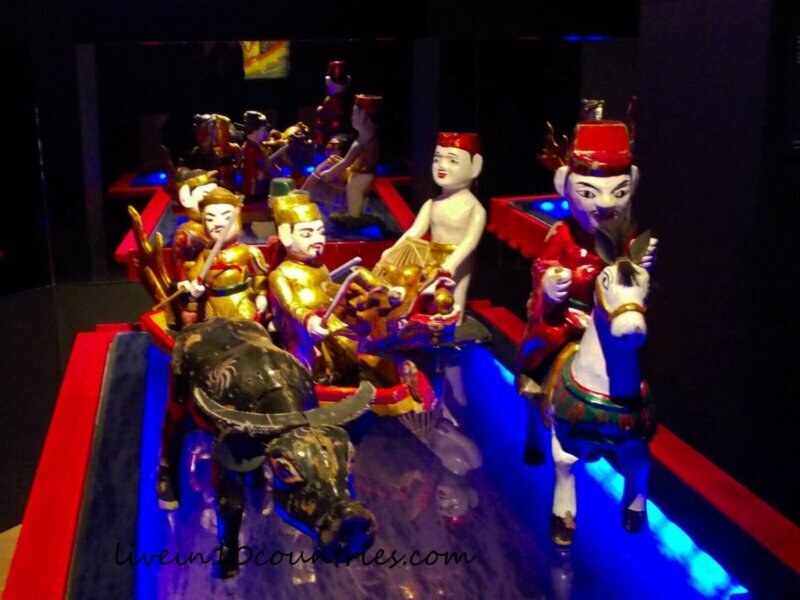 It’s one of the best things we did in Lagos and our kids (aged 4 & 7 at the time) loved it, particularly as the boats are small enough to weave in and out of the grottos. Some openings are so low we all needed to crouch to squeeze through, before opening up into huge caverns, with water a dazzling turquoise. The boat drivers point out all the names of rock formations along the way, such as the famous elephant rock. These boat trips are perfect for young kids. If you’re holidaying with more adventurous kids or teenagers, consider the kayaking or paddle boarding tours that also go to the caves. Tours leave the Marina regularly throughout the day. The grotto tours last 1 hr 15 mins so it’s not too long for young kids (no toilet on board). Prices and tours vary but typical costs are 20 euros per adult and 10-15 euros for kids. Make sure you ask what kind of boat you’ll be going on when you book – only choose the small ones so you can access the caves. We were lucky enough to have our boat to ourselves! We booked through one of the many boat operators on the pier – you can’t miss them! We would recommend to book with Connie at Lagos Grotto Trips – she is fabulous. Or you can book online if you like to be organised. In January 2017 our 4-year old and I stayed in Olhao for a week with my parents who were spending the winter in the Algarve. One of the highlights of our stay was the ferry ride over to Ilha da Culatra and spending the day on the almost deserted beach. 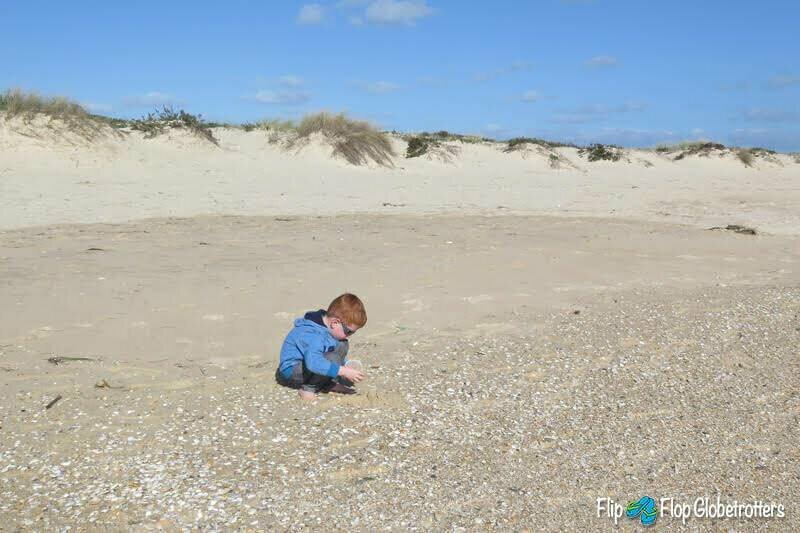 It’s a very wide beach that’s great to play, find large shells and build sand castles. Although it’s quite close, the ferry takes about 30 minutes to reach Culatra, one of two small villages on the island. This is because of the shallow waters of the Ria Formosa nature park. In the summer the ferry runs about 10 times per day, but during the winter months departure times are limited to about 3 or 4 daily. There’s a ticket office at the start of the pier, so it’s easy to get tickets as you go. To get from the ferry terminal to the beach you have to walk about 15 minutes. It’s an easy walk, through the village and then a boardwalk all the way to the beach. So perfect even for families with strollers. As we were there in the winter time, I’m not sure how suitable this beach is for swimming in the summer. There were quite a few waves when we were there. When you visit the city of Coimbra in Portugal, you should plan a visit to Portugal Dos Pequenitos. The exact translation means “Portugal for the little ones”. When our hotel concierge suggested we visit, he explained that this large park housed dozens of miniature buildings of places from around Portugal and the world. He missed the part of the translation saying it was for children. But we visited as adults and had a blast. If you travel with younger children, there is a small train that goes around the park, a playground and lots of interactive spots for your children to enjoy. As we travelled around the park, we saw amazingly detailed building and town replicas. And we learned so much about the adventurous Portuguese and the empire they built around the world. We were excited when we saw that many places we have visited were in fact once Portuguese colonies. There is a lovely statue garden and green space if you want a break. Portugal Dos Pequenitos is located on the left bank of the Mondego River (in the Santa Clara area). It was an easy walk from downtown Coimbra. Penela Castle, around 30 minutes drive south from Coimbra, makes a great stop off if you are in the area. The small castle is well preserved with intact fortified walls and towers that are easy to access with a boardwalk running around the exterior wall. The location on a steep hill gave the castle an impressive defensive position, while the modern visitor can enjoy fabulous views. As it is quite small, the castle is ideal for younger children who will be wowed by the feeling of being in a real castle. Our daughter took the opportunity to live out a princess fantasy, complete with tiara! 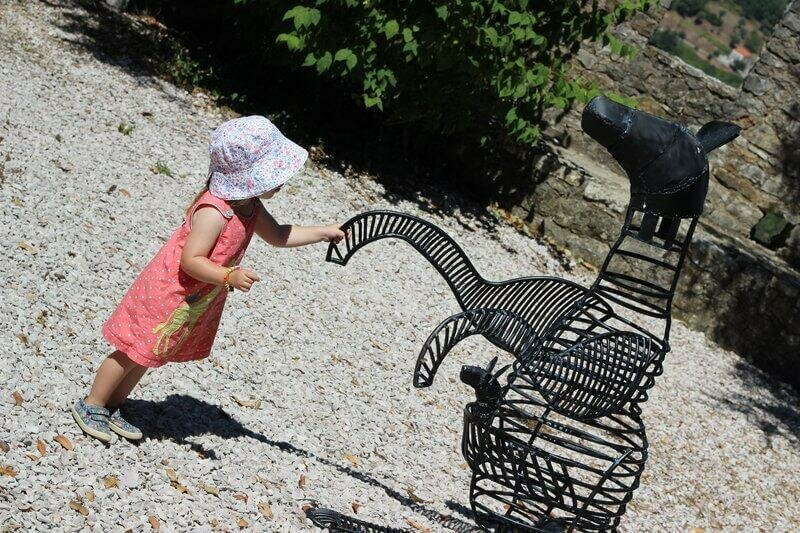 As an added bonus they have numerous animal sculptures throughout the castle which kept our girls entertained throughout. The castle is free to visit and there is a small car park just outside the entrance which is also free. The castle is open between 9 am and 6 pm. 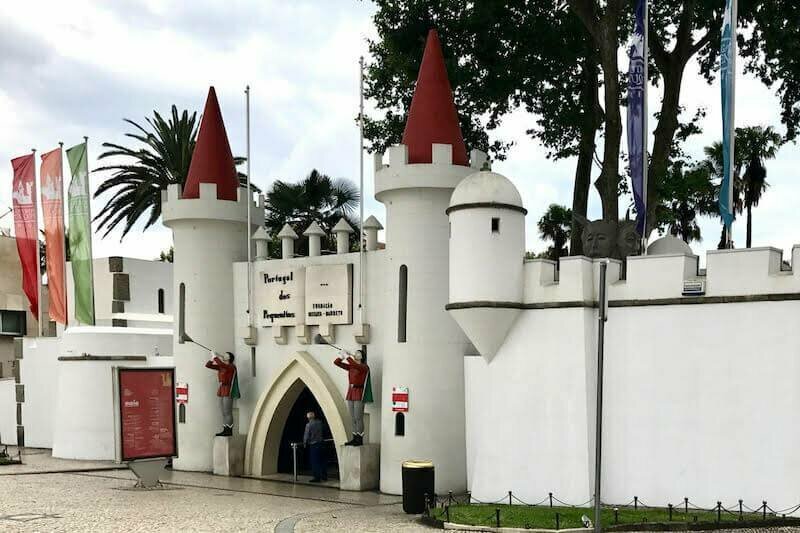 The town of Penela is worth a look around too and if you walk down from the castle to the Parque das Aguas Romanas you will find a good play area and cafe. Julie’s tip: If you happen to be in the area around Christmas time, the whole castle area turns into a nativity scene while Penela’s annual medieval fair takes place at the end of May and is also great fun for families. Sintra is an easy day trip from Lisbon. Full of the former summer palaces of Portuguese royalty, it’s a truly magical place that all ages will enjoy exploring. 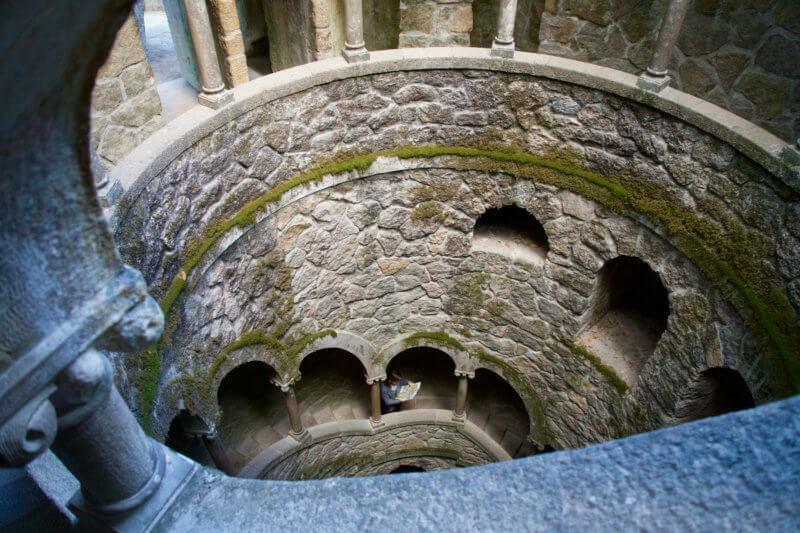 There are a number of great places to visit in Sintra, but the one I think young children and the young at heart love best is the Quinta da Regaleira palace grounds. Kids who will get the most out of this site will be third grade and up. Don’t worry about spending much time in the palace itself. There are so many hidden, whimsical places to discover outside. Be sure to walk down the mysterious Initiation Well and stick together as you explore the various underground passageways, caves, and turrets! Many attractions in Sintra get busy during the day, so try to arrive when Regaleira opens (9:30 am) to enjoy it without the crowds. Children under 5 are free, ages 6 to 17 are 4 euros, and adults pay 6 euros. You can walk to Regaleira from the Sintra train station or arrive by bus as part of the Hop On Hop Off route. Next Post: Why Go To Peniche If You’re Not A Surfer? The #28 tram in Lisbon is full of pick pockets. And also at the team stops. Beware!